Business opportunities take shape with incredibly detailed 3D specialty items Check and Mate! 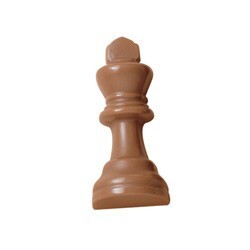 Try this delectable King themed piece. Other designs available. Call for Details. Choose Milk or Dark Chocolate. The Chess Piece comes Individually Cello Sealed. Very Limited Imprint Area.